In July 1772 Robert Cooper Lee wrote to his wife, who was on holiday with their children in Margate ‘Captain Hepburn sent me the Turtle yesterday. What was I to do with it? I thought it would die before it got to Margate, or you should have had a Turtle Feast’. There are numerous references in these family letters to turtles arriving from Jamaica for the family to feast on. Presumably once caught in the Caribbean they were kept alive in barrels of sea water until the ship arrived in England, once out of the water their survival time would have been limited. On one occasion the Lees sent a present of a turtle to their sons’ headmaster, which caused no little stir in the school! That such a present could be sent on the assumption that the headmaster’s cook would know what to do with the creature shows how widespread was the delicacy, even if it was still something of a luxury item. To cook the turtle it would be killed and the head removed, then the whole animal plunged into boiling water for about ten minutes to make further preparation easier, once removed from its shell, gutted and skinned, the flesh could be cut up and treated much as you would chicken – perhaps coated in flour and seasoning, fried and then slowly stewed. 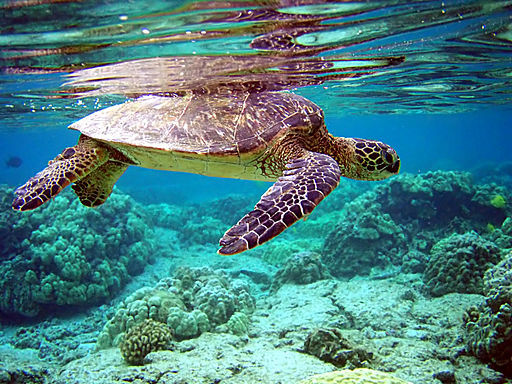 The fat of Chelonia mydas has a greenish tinge, which is how this species came to be called the green turtle, and it was much valued in the creation of turtle soup. Needless to say overfishing and environmental challenges due to pollution, noise, light disturbance of nesting sights and the dangers posed by fine filament fishing net fragments have all contributed to a huge decline in turtle numbers since the eighteenth century. Most species are now protected and hopefully their numbers will recover. Jamaica offered a large number of other delicacies not obtainable in Europe, and there are references in correspondence to candied ginger, pimentoes (allspice), yams, cashews and chocolate in addition to the sugar, coffee and rum that formed the greater part of the island’s exports.